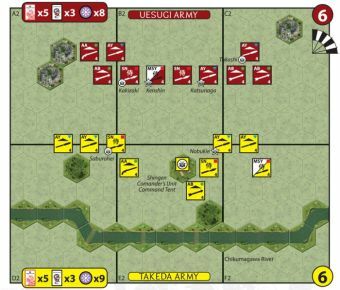 By midday Kosaka's flanking force was across the Chikumagawa and charged into the rear of the Uesugi army. 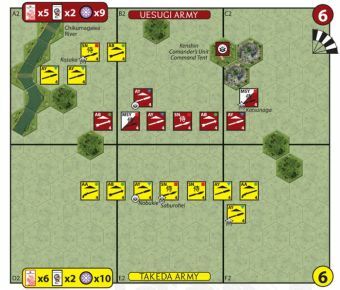 Caught between Kosaka from the rear and Shingen, who had reformed the Takeda battle line, to their front, the Uesugi army began to fall back. 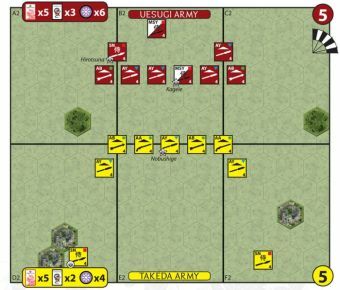 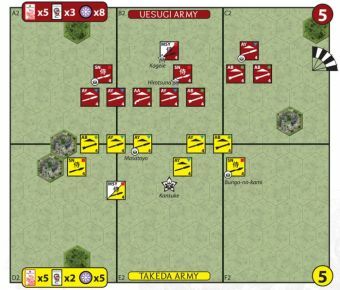 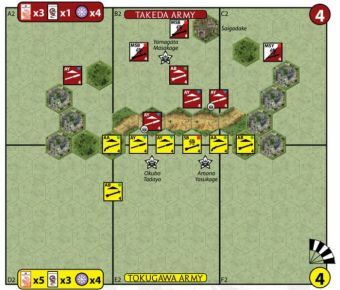 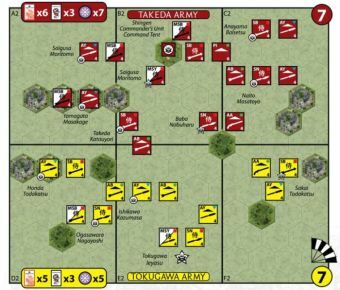 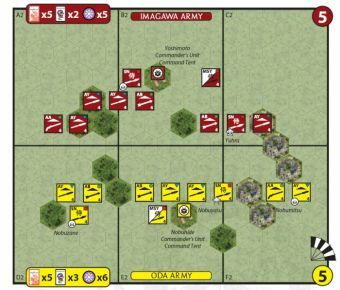 Nobutaka's "Operation Woodpecker" plan had turned what looked like a defeat into a Takeda victory. 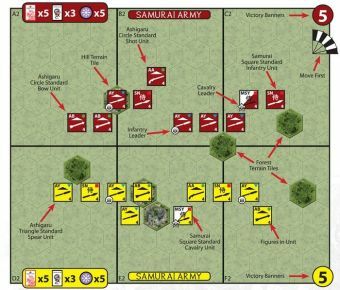 Both sides had suffered an incredible number of casualties, and a lot of heads were to be viewed in Shingen's triumphant head-viewing ceremony. 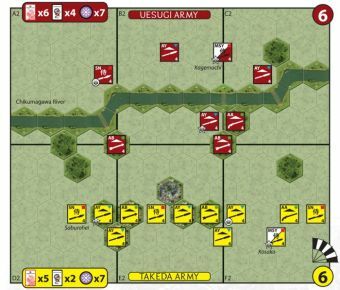 The Chikumagawa River is impassable except at the two river fords.